The University of California Office of the President may reduce office expenses by up to 50 percent, according to a recent report published by Huron Consulting Group Inc. Reviews of UC President Janet Napolitano’s office that were provided to the Los Angeles Times reveal the 10-campus university system to be a $33 billion operation. State Auditor Elaine Howle found last year that the UC office has employed “misleading” budget techniques and that UCOP had generated a surplus budget of over $175 million, which it failed to disclose to the state. Howle told the LA Times that she did not attribute the surplus to any intentional wrongdoing, and that her suggested reforms have since been implemented. The Huron Consulting Group Inc. has suggested an overhaul of UCOP that includes proposals such as the redistribution of programs among campuses, the elimination of postdoctoral fellowships, and converting UC medical system management to a statewide network. Aditionally, the plan proposes the elimination of up to 110 of the office’s nearly 1,800 staffed positions and up to $50 million in cuts from the $883 million budget. According to Stephanie Beechem, media specialist for UCOP, the purpose of the review was to determine the best ways to carry out the office’s complex set of functions and services and to make sure that the organization was capable of supporting the UC system in the future. “As UC makes decisions about the organization’s structure and operations going forward, President Napolitano is consulting with many stakeholders, including UC Chancellors, Regents, the Academic Senate, and UCOP staff. Once decisions are made, it could take up to two years to implement changes” Beechem told the UCSD Guardian. John Muir College junior Melisa Itzel believes that it is in the students’ best interest that UCOP is held accountable for its usage of tuition and tax money. “It’s good to see that their expenses are being evaluated, and that they are being more cautious and efficient with how they direct funding, especially students’ tuition,” Itzel stated to the Guardian. The suggestions made by Huron Consulting Group Inc. are only the latest of more than 10 proposals made regarding UCOP finances within the past 10 years. Another assessment is slated to occur this spring. “Part of that is the continual search for the Holy Grail, which is to run the best [Office of the President] one can imagine — the most efficient, the most streamlined, the most effective that contributes the most value to the university,” President Janet Napolitano said when explaining the reviews to the Los Angeles Times. 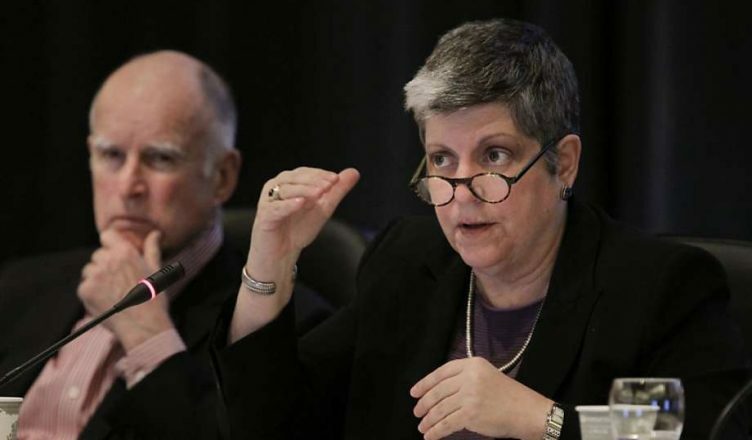 Napolitano also acknowledged that she called for the review as a response to recent political pressure placed on the UCOP — particularly by Governor Jerry Brown who has continually called on the UC system to reduce costs. Chairman George Kieffer of the UC Board of Regents stated that the latest report is one of many measures taken to promote excellence and transparency within the UC system, despite the downward trend of public approval on higher education. Final decisions on the matter could take up to two years before being implemented.